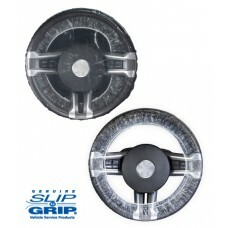 We are an authorized distributor of Slip-N-Grip disposable plastic car seat covers and steering wheel covers. Utilizing vehicle protection products is an effective strategy used by auto dealer service departments, auto repair shops, and auto body shops to demonstrate to customers that you care about the cleanliness of their vehicle. The use of these products also reduces cross contamination between vehicles and prevents the need for expensive cleanups. Our seat covers are offered in 2 thicknesses, which are both constructed from a unique, multi layered plastic film that allows the bottom layer to grip the seat, while the top lets technicians easily slide in and out of the vehicle - without displacing the seat cover. These covers are both disposable and recyclable. 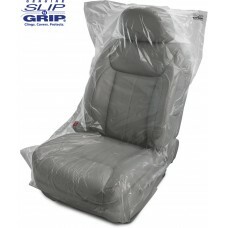 Slip-N-Grip Seat covers work better then the competition because the stay in place! Our Plastic Steering wheel covers slip easily into place around the steering wheel with their elastic band and only cover the wheel portion, allowing the driver to see the gauges. These covers protect the steering wheel from dirt and debris while the vehicle is being serviced. Clean Matters More Than You Think! In recent customer relations research conducted by Harris Interactive, 80% of the more than 2000 adults surveyed vowed to never again buy from the same company after a negative experience - up from 68% in 2006. That means a mere dirty fingerprint or grease smudge has the potential to cause irreparable damage to your business. Our vehicle protection products reduce your costs by saving on cleanup and time expenses. Moreover, they protect your business from lost revenue due to unhappy customers. Service soils are one of the most common complaints in service departments and auto repair shops. Chances are, once you've lost a customer due to a soiled vehicle, you've lost them for good.